I went Yeoor Hills again after a gap of 6 days. It rained on Saturday 20th, so visiting Yeoor on the 21st seemed like a good idea. The sightings had been different compared to last Sunday (previous Yeoor post). The weather was pleasant, overcast, drizzled a wee bit, and the breeze was cold and damp. All this is not favored by some insects such as butterflies so most remained hidden from the sight. Nothing much to be spoken about, except sightings and some photographs. 3. I was seriously looking in the undergrowth. 3. 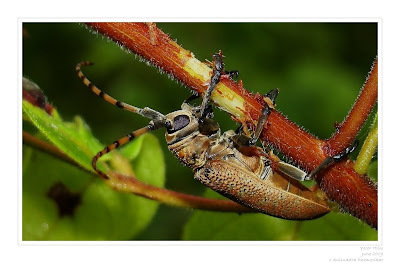 Longhorn Beetle - 2 sp. 12. Anoplolepis gracilipes - Super Colony! Photographs: Camponotus angusticollis: A fairly large ant, common at Yeoor, seen foraging on the forest floor among the leaf litter. Camponotus sp. (compressus? 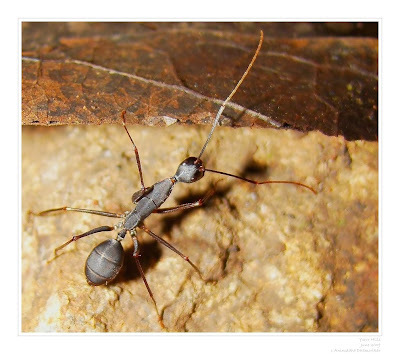 ): Another large common ant, hard to miss. Anoplolepis gracilipes: Commonly called Yellow Crazy Ant or Red Crazy Ant, is an opportunistic ant and well known for its devastative nature. 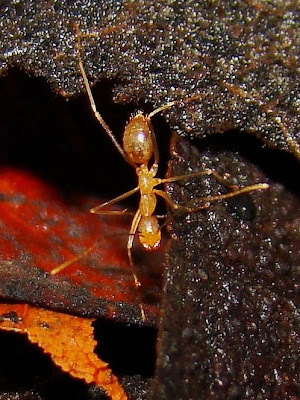 Some research says that these ants are capable of wiping out entire small habitats. 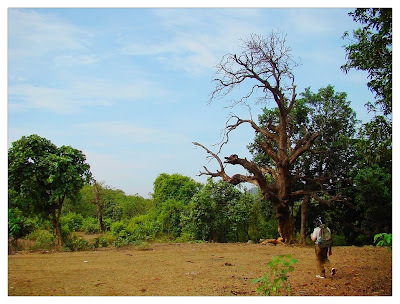 It is an indicator of a disturbed habitat, and unfortunately, these ants have a "super colony" at Yeoor Hills. I saw a massive colony of these on two trees, they were all over the path in that area, spread roughly 15 m. I located a nest amongst leaf litter in this area. There really wasnt much on the forest floor in that area except these ants. Need to check again! 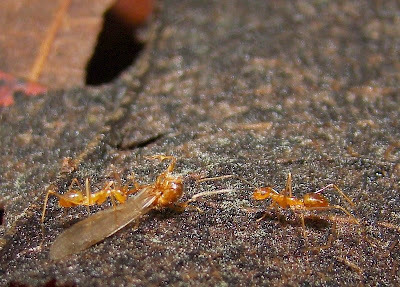 I managed really bad images of these ants. 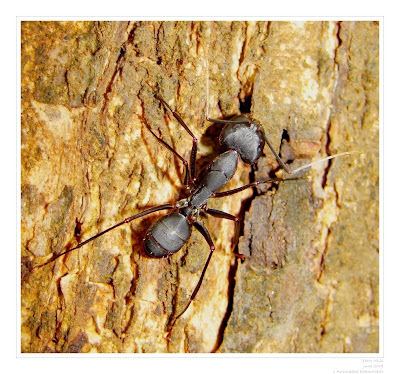 Crematogaster ants: They were seen everywhere, as usual, and this time they were busy feeding on sap of a certain creeper, whose picture is given below. A creeper abundant at Yeoor. Tortoise Beetle grub ants were seen feeding on its sap. 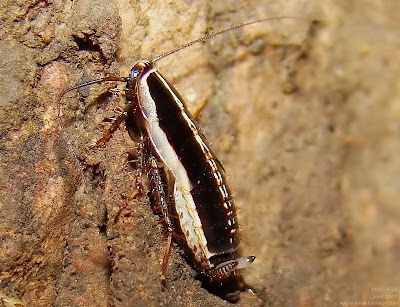 Cockroach: A roach (Blattaria) seen in the leaf-litter. This is probably the least photographed creature at Yeoor! It show's bristles on its legs, which aide it in walking, possesses long antennae - good for sensing its surrounding and the two thick protruding structures at its bottom are ceri (singular Cercus). They are sensory in nature, or may help in copulation, or simply be vestegial. In cockroach, it acts as a sensory organ, warning cockroach of the approaching danger (through vibrations in air/land) so that it runs in the opposite direction. 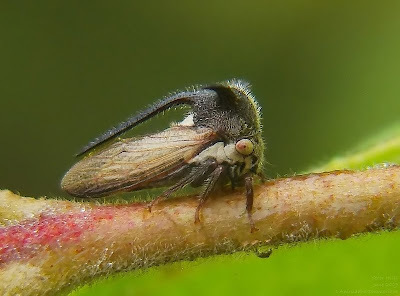 Horned Treehopper - Centrotus sp.(? ): A bug from the Membracidae family, known for their "thorns". 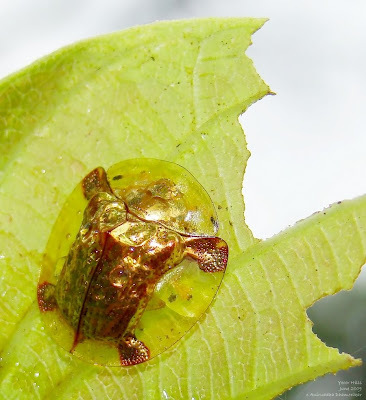 They live off by feeding on plant sap. They are often seen in association with ants - that get a sugary excretion form the Treehopper and the ants in return protect them. 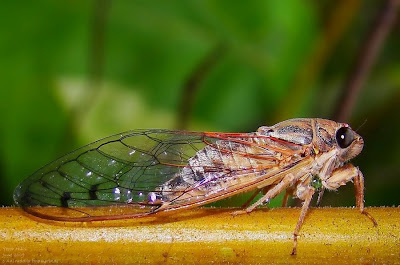 Cicada: A loud insect, and also one of the most long lived. The larva lives underground - feeding on plant-root sap - for several years depending upon species. The longest living Cicada spends its life as a larva for 17 years, feeding off on pine-root sap. The adults are short lived, often for weeks to months, and their sole purpose is to mate and lay eggs. The male Cicadas are loud and make a chirping sound to attract females. The Cicada Song is the loudest "noise" in the Insect world. A Hempiteran "true" Bug, the commonly called Leaf Bug, is a common insect at Yeoor. This fellow had just moulted it's exoskeleton (look at top left of the above image) and was sitting on the dried leaf until it's exoskeleton hardened again. When arthropods moult, they are very vulnerable to attack since the new exoskeleton is very soft. So they usually undergo ecdysis (moulting) at night and prefer hiding in some place. 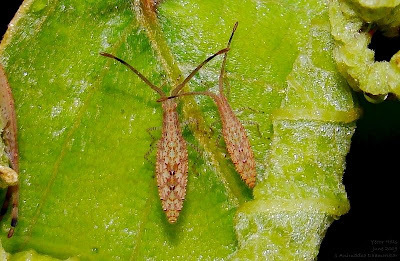 These are the nymphs of a Hemipteran "true" bug, most probably of Leaf Bug. The Hempiteran bugs undergo hemimetabolous metamorphosis, the nymph resembling an adult to a certain extent. The only exception in nymphs are the underdeveloped wings (as seen in this picture, there are no wings developed) and immature sexual organs. The size of these nymphs was hardly a centimeter. 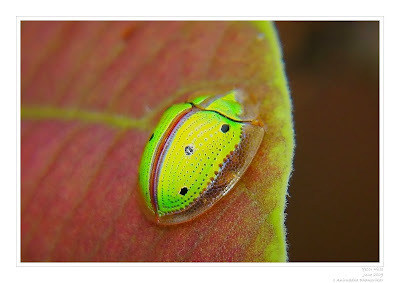 Tortoise Beetle - Placed in the family of Leaf beetles (Chrysomelidae), they are small and the elytra resembles a tortoise shell. Many adults and grubs were seen feeding on the creeper (picture posted earlier). This fellow was feeding on its leaves. A Beetle, memeber of the Buprestidae family of Jewel beetles, this fellow was roughly 1cm in length. 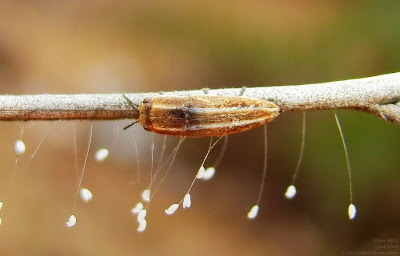 The white hanging structures are the eggs of Lacewing (Neuroptera). This beetle was not seen feeding on the eggs, but resting on the small dried bush. There was one more individual present on the bush. Longhorn Beetle: Longhorn Beetles belong to Cerambycidae. 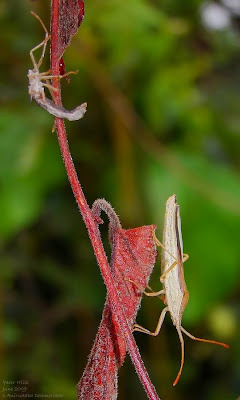 This individual was feeding on the stem (see picture). Longhorn beetles can be pests as grubs as well as adults. But that's just because of us that they are termed pests. Another Longhorn Beetle, pretending to be dead when it sensed me (first picture). After several minutes he tried to get up (second picture) and finally was standing on its feet (third picture). This behaviour is termed Thanatosis (commonly, pretending to be dead). In the above picture, the Longhorn beetle displays Thanatosis to evade my attention or, in nature, a predator's attention. "Artificial selection experiments have shown that there is heritable variation for length of death-feigning in beetles, and that those selected for longer death-feigning durations are at a selective advantage to those at shorter durations, when a predator is introduced, which suggests that thanatosis is indeed adaptive." - Wikipedia Wasp-mimicking Fly: Several flies at one place were seen at the base of the tree, feeding on sap. These flies sort of resemble Paper Wasps, if looked closely. This is Batesian Mimicry, where a less-threatning species (such as this fly) mimicks the stinging Paper Wasp. Mimics are less likely to be found out when in low proportion to their model, a phenomenon known as negative frequency dependent selection which applies in most other forms of mimicry as well. 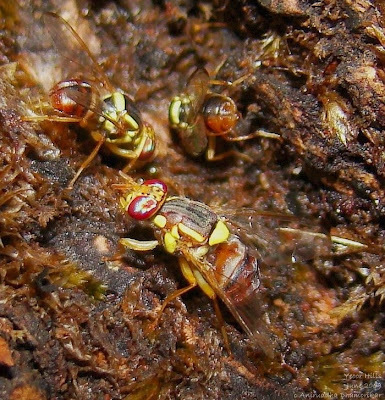 Example: Vespid wasps bear several harmless mimics including moths, beetles and flies. 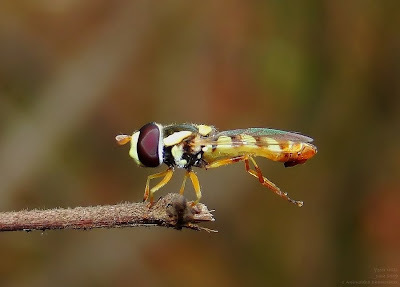 Hoverfly - Simosryphus grandicornis: A beautiful fly belonging to Syrphidae. These flies are well known to mimic wasps and bees. 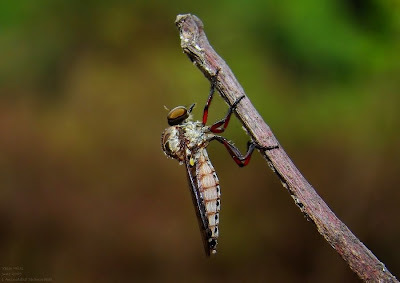 Robberfly (Asilidae): This fly is a superb predator, and is seen everywhere. This fellow was perched high on a dry bush for a long time. Attatha sp. 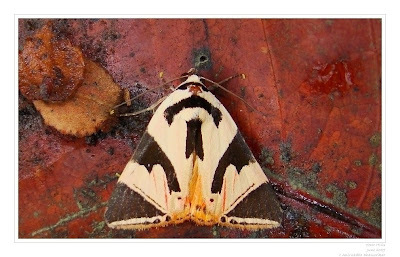 : A moth belonging to Catocalinae, a large subfamily under Noctuidae. 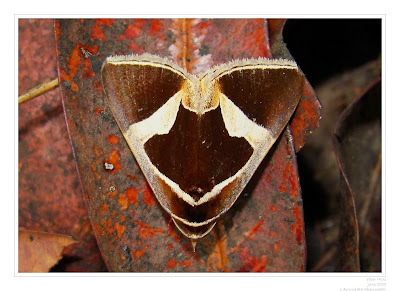 Fodina stola: A medium sized moth of Catocalinae, resting on leaf litter. The larvae of this moth feed on Cassia fistula. Spot Swordtail: A beautiful Papilionid with a long sword-like wing projection. 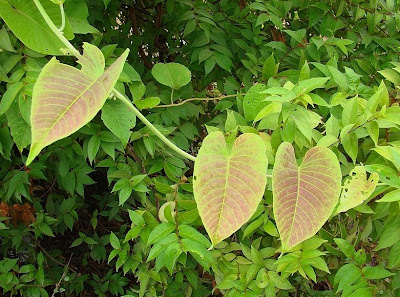 It is commonly seen pre-monsoon and during monsoon. 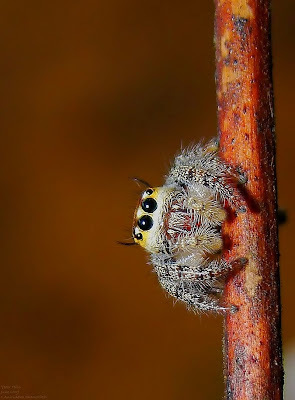 A Jumping Spider of Salticidae, they are easily recognized by their two big ocelli (eyes) out of the six. They are generally small in size and come in myriad of colours. Another curious Jumping Spider. 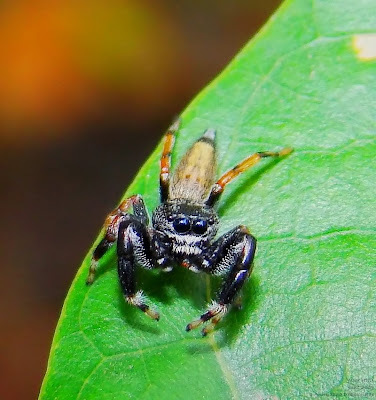 Jumping spiders are very expressive, and give interesting poses - hence are a good subject for macro photography. Another rather tiny Salticid, with amazing set of colour combination! 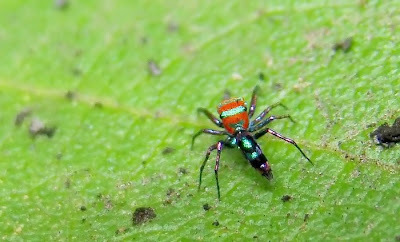 Same spider showing the colours and the patterns. While leaving, I came across this beautiful reptile basking in the Sun that happened to glance from the monsoon cover for sometime. 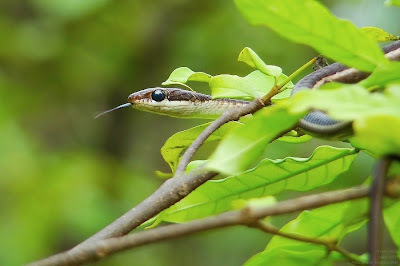 It was a Bronzeback - Dendrelaphis tristis, an arboreal snake. 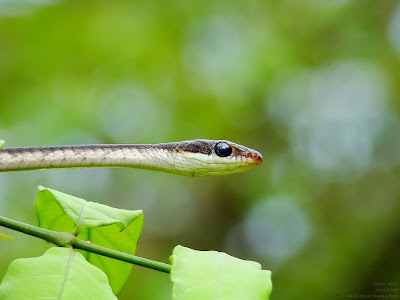 It was basking on the top of a shrub, stretching out its head as seen in this photograph and laying completely still, as if invisible. After it sensed me watching and photographing, it decided to go back into the forest, its home. And I decided to go my home. I want to invite you to join this site that i have created especially for people or things related to Thane. 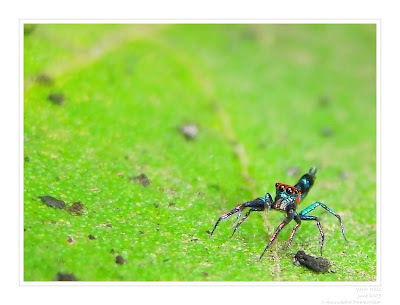 Chrysilla lauta, the last spider photo in this page.